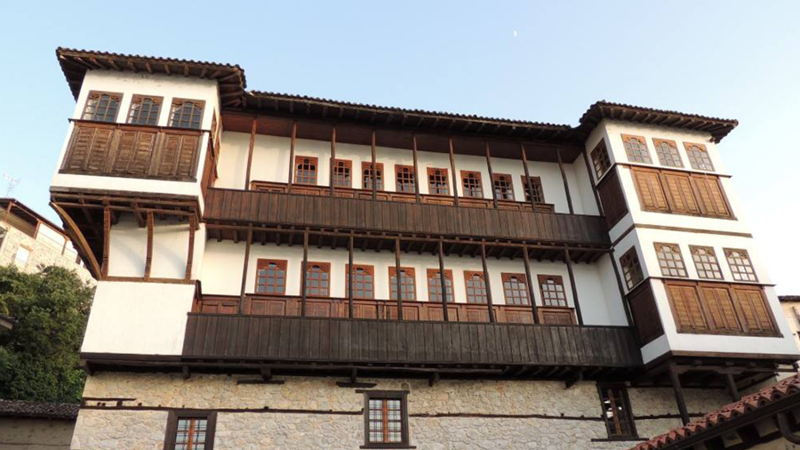 Against the backdrop of the Old City, the narrow cobblestone streets, and distinctive stone houses, where the art of Kastorian fur-making began and developed, the 43rd International Fur Fair of Kastoria (3-6 May, 2018) is about to begin at the International Fur Center of Kastoria. After all, it was by no accident that the Kastorian Fur Association’s chose to host the Gala Fashion Show in the courtyard of the Tsiatsiapa Mansion, an indicative sample of the local 18th-century architecture, in the Apozari district. The Association’s aim is to showcase the art of this luxury item—fur—and the area’s heritage. The Gala Fashion Show will be hosted by well-known Greek actress Zeta Makrypoulia, while dazzling celebrities from Greek fashion and showbiz, like Lakis Gavalas and Yannis Spaliaras, will be putting in an appearance. Signaling the commencement of the Fair, the Gala will take place on Thursday, May 3, 2018, while the Opening Ceremony will be presided over by Deputy Minister of Economy and Development Stergios Pitsiorlas at noon (12:00) of the same day. A great influx of commercial traders from all over the world is expected as there has been a great number of pre-registrations from 43 countries. This is the result of the major advertising campaign carried out by the organizers with ads in fur magazines, promotional activity on social media, and targeted newsletters sent to 6000 fur businesses the world over. The Fur Fair has been organized by the Kastorian Fur Association, TIF-HELEXPO and the Hellenic Republic Region of Western Macedonia . The sponsors include some of the biggest Fur Auction Houses worldwide, such as NAFA, Kopenhagen Fur, and Saga Furs, as well as the National Bank of Greece. The Municipality of Kastoria has also funded the 43rd International Fur Fair of Kastoria.